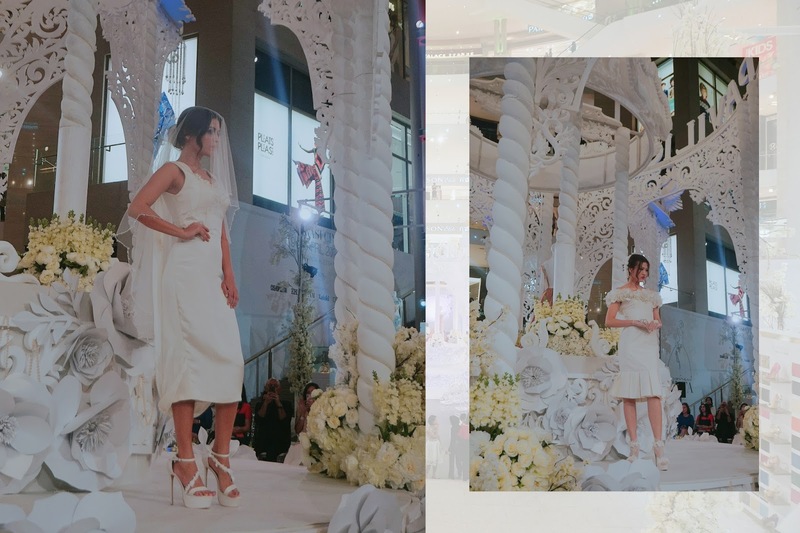 Pavilion KL has the biggest wedding exhibition from 9th to 22nd April 2018. This exhibition has everything a bride-to-be needs for her wedding day! You can enjoy variety of designers wedding gown as well. 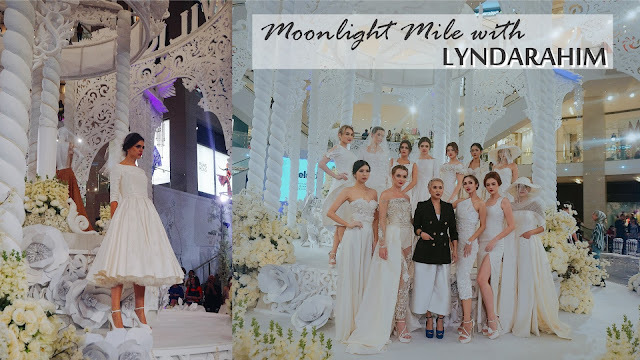 In this post, we are here to enjoy the Moonlight Mile Bridal Show by Datin Lynda Rahim. The entire theme is inspired by Bianca Jagger, a quirky and fun-loving icon for fashion. 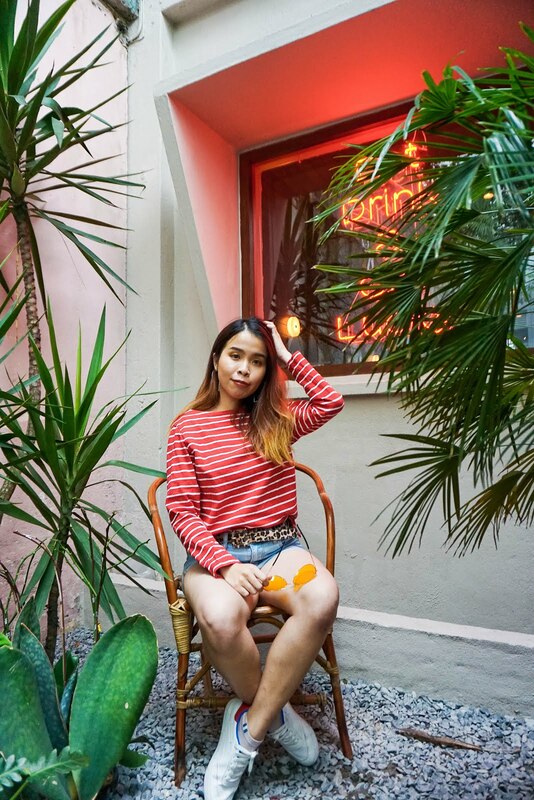 The 70's on its own was a defining point in the development of fashion as we know it today, and her choice of wedding attire was set far apart from the stereotypical ball-gown dresses of this era. 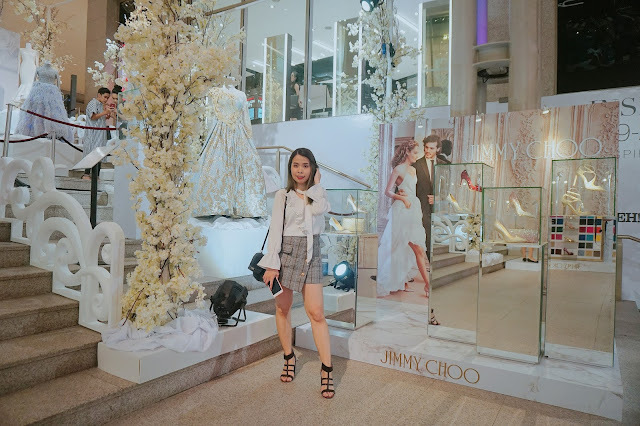 She chose a single buttoned blazer (of course wearing absolutely nothing inside), paired with an ankle length skirt, peep-toed Mary-Jane heels and a wide-brimmed sun hat detailed with rosettes and a face veil. Not to mention, a flower chain for a bouquet. 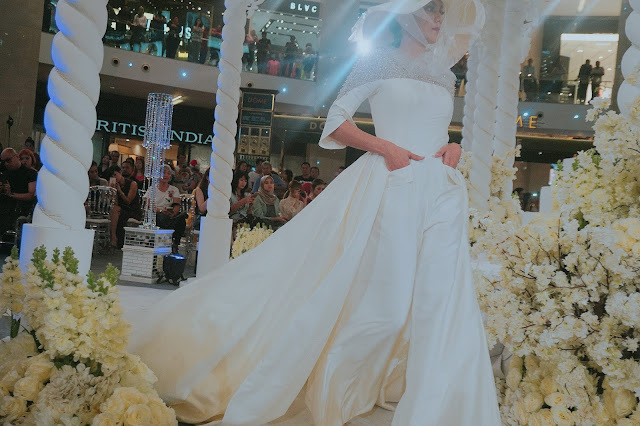 Let's look at all the wedding gowns by Datin Lynda Rahim. 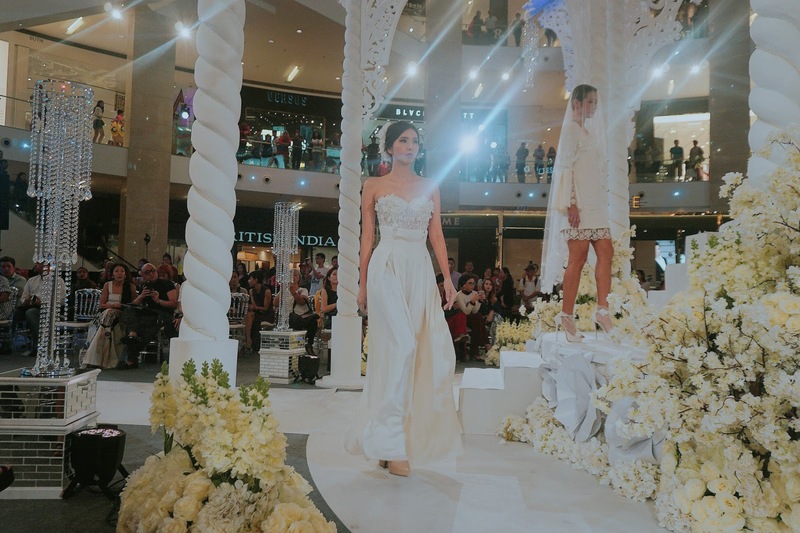 Some of the exclusive celebrity wedding dresses are on display too! 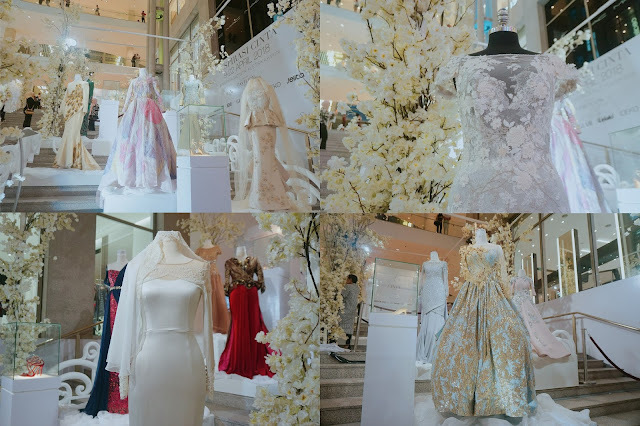 Each of the gowns is so pretty, from princess pastel design wedding dress to really simple and elegant pieces too. The entire center is nicely decorated with white and wedding decor too! My outfit of the day for today Lyndarahim Bridal Show. Here's come the model showcasing the LYNDARAHIM Bridal gown! The materials used in this collection are extra special as they have been specifically sourced for internationally by the luxe fabric retailer, Shimco Bruner. The choice of fabric includes French Laces, Beaded Laces, Dutchess Silk, Organza Silk, Fine Tulle, French Crepe, Shantung Silk and etc. Shimco, a luxe fabric atelier, carries the most exquisite and luxurious fabrics from the finest of silks to the most intricate applique laces-adorned with Swarovski crystal and another embellishment. 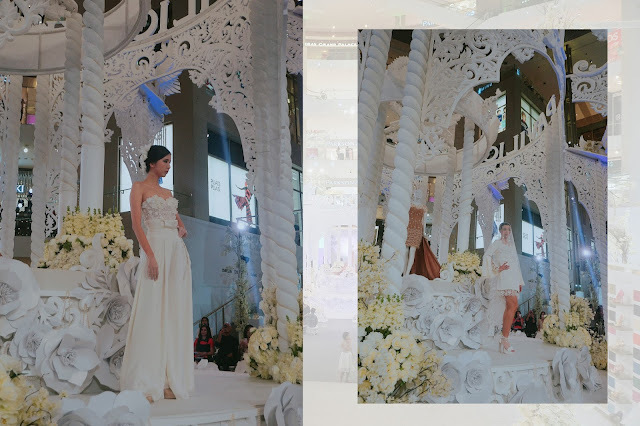 All these fabrics exude opulence and are handpicked by Shimco's buyers, who look for only the best quality to supply to their important clientele, including members of Brunei's royal household. 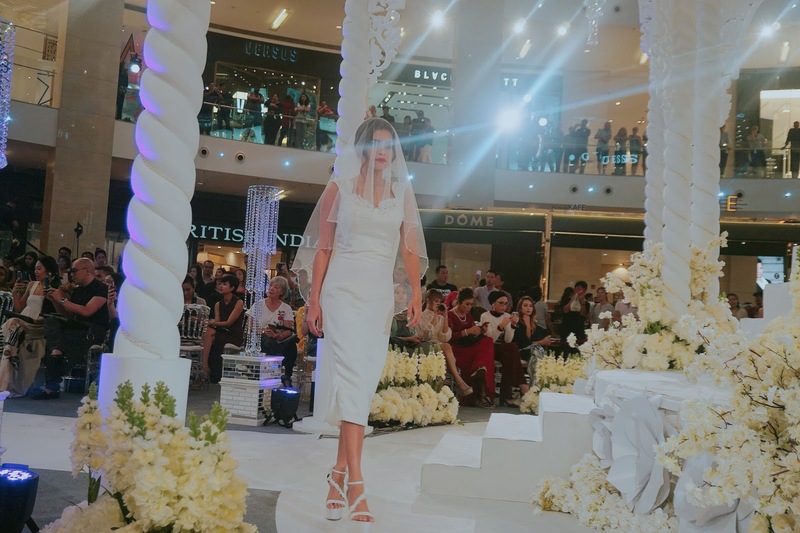 Steering clear of Lyndarahim KL's usual, this collection features a cohesive blend of silhouettes and attires-short dresses and long bridal dresses, pantsuits, and jumpsuits, off-shoulder cuts, clean lines as well as low neckline and backs. 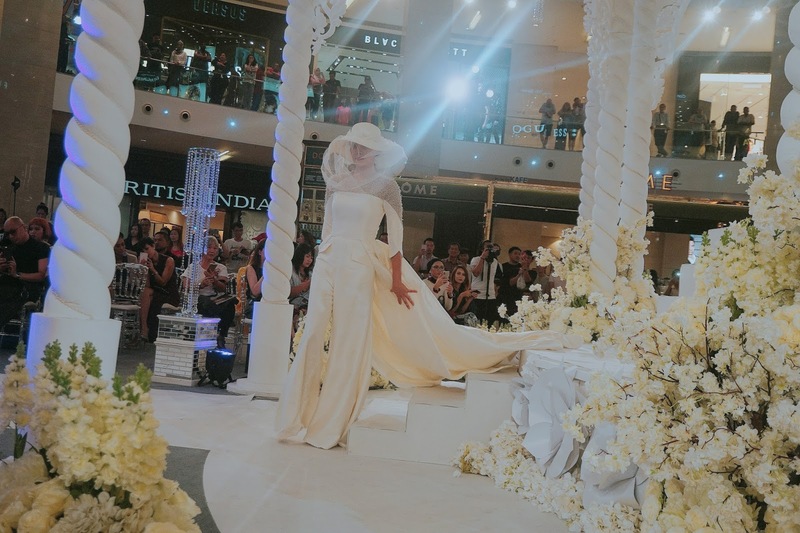 The collection is aimed at destination themed weddings. Hence, there is no sight of the brand's usual modest and traditional cuts. Most of the detailing is different from LRKL's usual hand embellished laces as well. 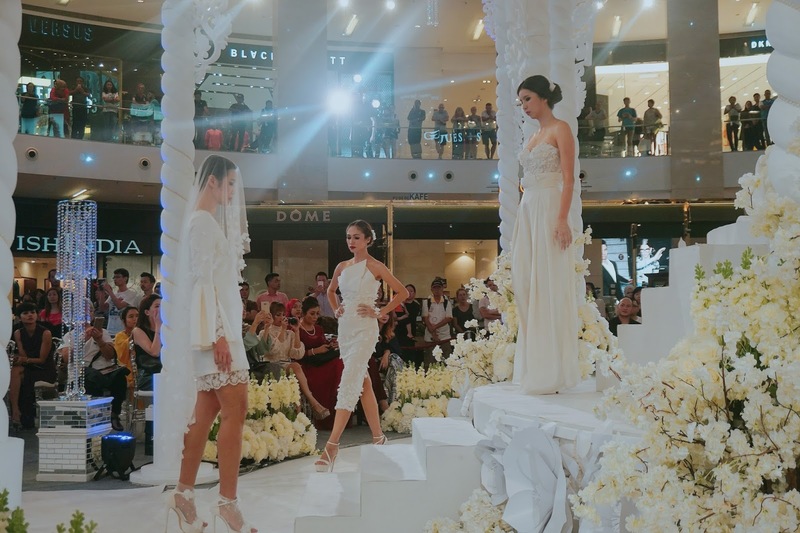 This time around, the collection incorporates large flowers, petals, and wispy feathers, as well as Shimco's luxe beaded laces and Rhea Tan's shoes. I love all the entire collection from Lyndarahim KL bridal show! It definitely brings another level of the bridal gown too. All the design is so elegant and some has certainly caught my attention with the detailing and beauty of it. This ideology has been the inspiration for this collection and collaborations- in line with Lyndarahim KL's continuous efforts to step out of the classic design identity the brand is always associated with not because the Lyndarahim KL does not want to continue making its saccharin sweet, girly and super flowly dresses the brand is famed for. but to show that once in a while, a little difference can be refreshing too. big clap to our local designer. impressive. Proud that even local, her collection can beat international designer. i'm fan of "say yes to the dress" on astro, seriously Datin got talent. bravo and good luck. my favorite of cos the pants. Yess!! I simply just love every pieces in this collection!! 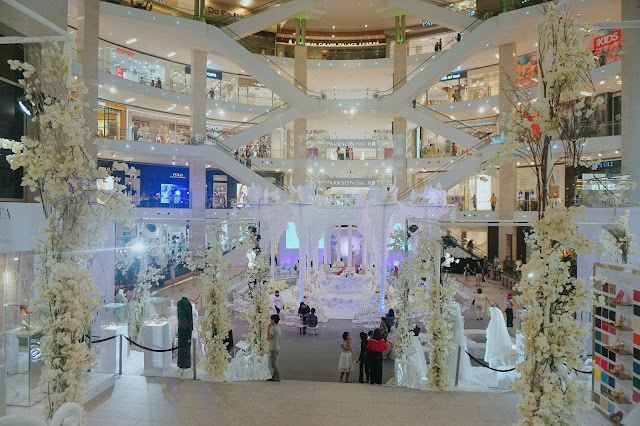 Wow, I am impressed by the wedding themed setup at Pavilion. 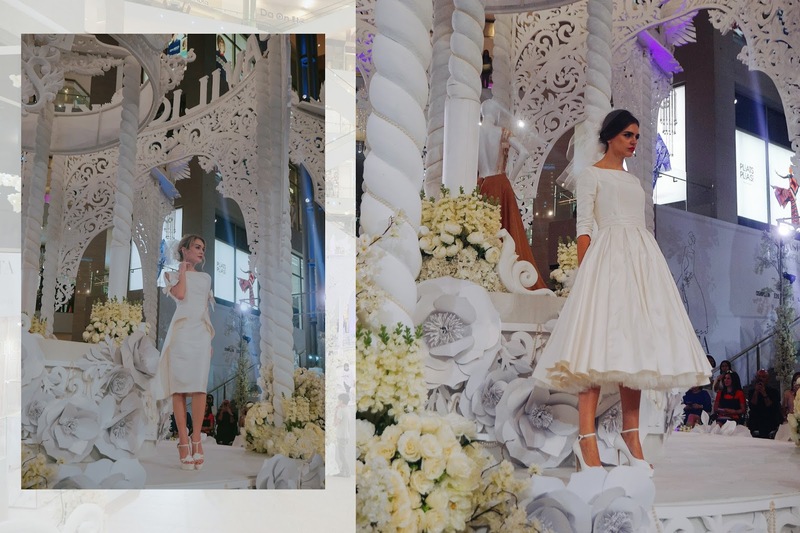 The bridal collection looks amazing as well. It will surely be a day that's not to be forgotten by any bride. I really amaze with the settings there! So dreamy and princess setup! That's right!! This collection is too pretty to resist tau! !